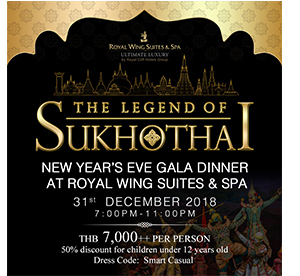 Looking for ideas for your year-end celebrations? Make your holidays sparkle at the Royal Cliff! 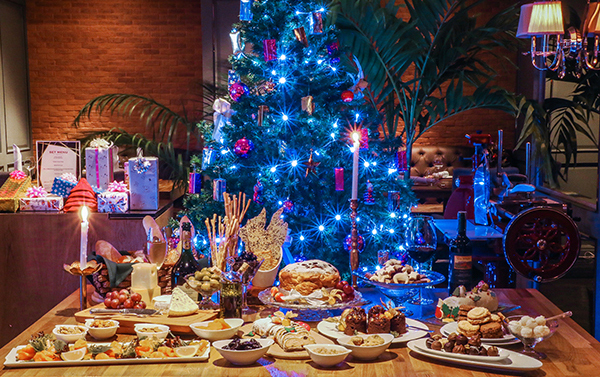 Your place for a memorable festive season is with us. 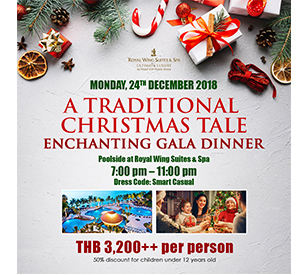 Celebrate an unforgettable Christmas Eve at the poolside of the luxurious Royal Wing Suites & Spa. 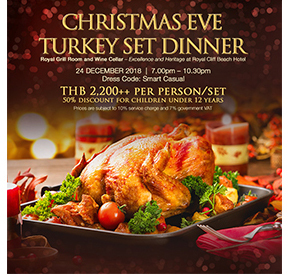 Enjoy a 5 course dinner featuring holiday favorites at the Royal Grill Room and Wine Cellar - Excellence and Heritage! 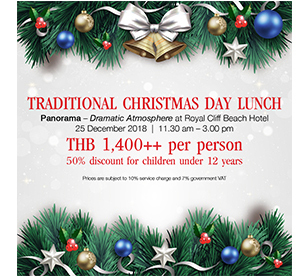 Experience the festive spirit with your loved ones as Christmas day features a spectacular Grand Christmas Buffet luncheon at Panorama - Dramatic Atmosphere. Our festive season celebrations will run from 1 December 2018 until 1 January 2019. A range of activities, entertainment and recreation will be offered for both adults and children. We wish you and your family a happy festive season!